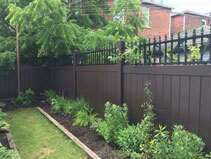 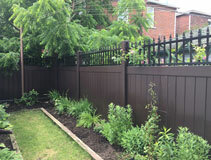 Wondering how a brand new fence would look on your property? 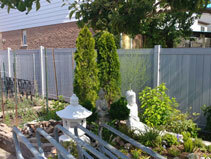 Well, you don’t have to imagine! Browse our fencing gallery to check out a few of the many fence installation projects that the Vinyl Fence Toronto Fence Canada team has installed across the Greater Toronto Area (GTA). 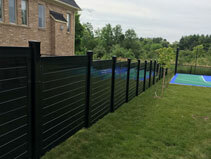 At Vinyl Fence Toronto Fence Canada, we offer a range of different fencing styles at affordable prices, from aluminum and vinyl fencing, to simulated rock fences, chain link and beyond. 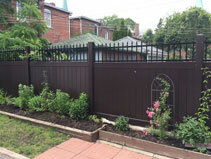 If you’re ready to get a price estimate for a new fence for your residential or commercial property, we invite you to contact us by phone at 855-864-9274 or stop by our price quote request page and enter your information; one of our experts will be in touch to discuss your project and provide a no obligation price estimate!